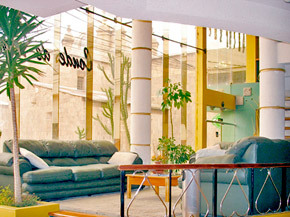 It is a comfortable and beautiful hotel infrastructure, bio-climatic colonial style - modern, elegant and sober, we are located in the historic area, next to Cathedral, and one block from the Plaza de Armas, near museums and colonial houses, with ample parking.We invite you to enjoy an atmosphere of peace, tranquility, comfort and safety for a pleasant break created especially for you, and make your stay pleasantly memorable experience in the company of our professional bilingual staff. 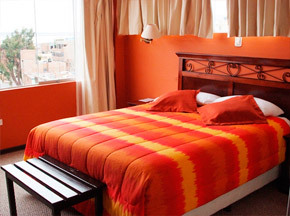 very close to museums and colonial houses, we have a large parking space, easy access to all our guests requirements. 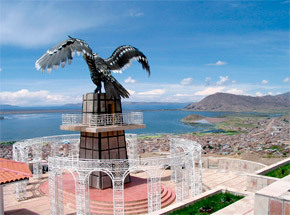 Our excellent location allows to enjoy the spectacular view of the city and Lake Titicaca, as well as to make visits to different tourist attractions that are the charm and grace of our region. One of the strengths that distinguishes the "Hotel Conde de Lemos", is the style of our rooms, whites, spacious and comfortable, has 40 rooms including Suites and Suites Estandar.3, 6 Singles, 14 Double, 14 Double Twin, 3 Triple The Standard rooms are equipped with box spring beds of 2.10 Mtrs Length, carpeted, cable TV, telephone, wireless internet, heating products and electric hair dryer. The suites have a hall and / or roof, with beautiful views, plus normal, minibar, safe, and superking Boxpring beds, special amenitis. 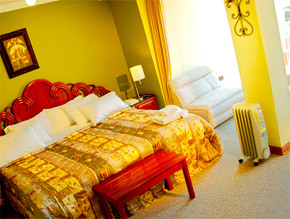 40 rooms including suites and standard. Bathrooms with hot water 24 hours. Bathrooms with tub and shower. Garage and spacious outdoor parking.